Here is a recipe I posted back in 2009. I made this cake tonight for Matt to bring to a teacher breakfast tomorrow and I was reminded how great it is for the holidays. It’s amazing and awful. Amazingly delicious and awfully bad for you. I’m fairly certain that one of the Christmas miracles is making you immune to fattening food, right? While in college, my friend Brittany’s mom used to send over huge trays of fattening, delicious treats for us. Needless to say, we eagerly awaited her visits. I can’t begin to imagine why I gained so much weight . . .
One of my favorites was this streusel, and she generously shared the recipe with me a few years ago. It came from one of those cookbooks that uses boxed cake mix to make fabulous desserts. 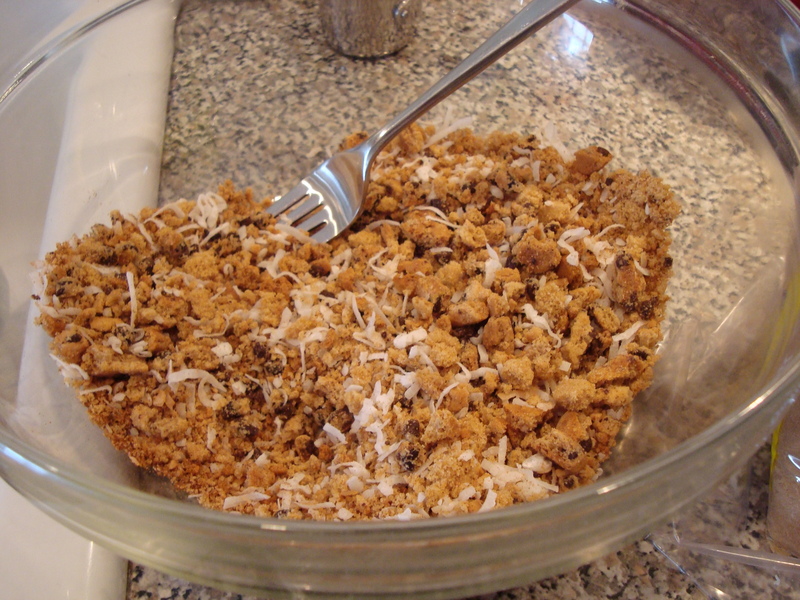 Because Matt hates nuts (snicker, snicker), I omit them and bulk up the rest of the streusel topping since that’s really the best part! 1 melted stick of butter. Begin by preheating the oven to 350 and prepping your cookies. 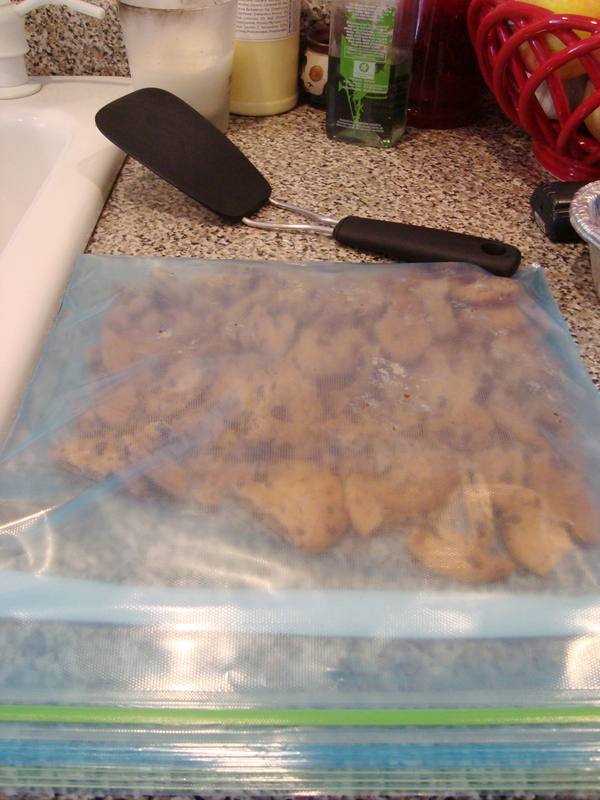 Place 20 of the cookies in a large ziploc bag, squeeze out the air, and zip up the bag. Then bang the heck out of the cookies with the handle of a spatula. These cookies should be coarsely chopped (broken up into small bits, but not entirely crushed). 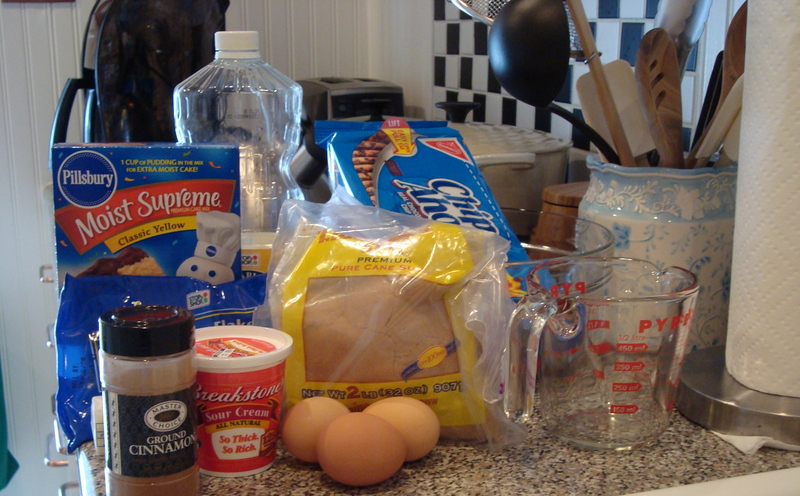 Set them aside and prepare the cake mix. 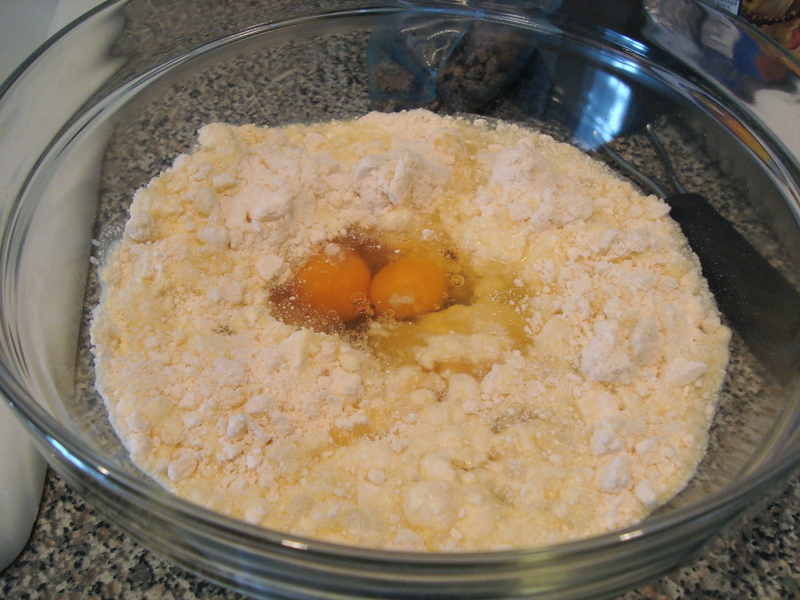 Follow the directions for the cake – this box called for 1 cup of water, 1/3 cup of vegetable oil, and 3 eggs. 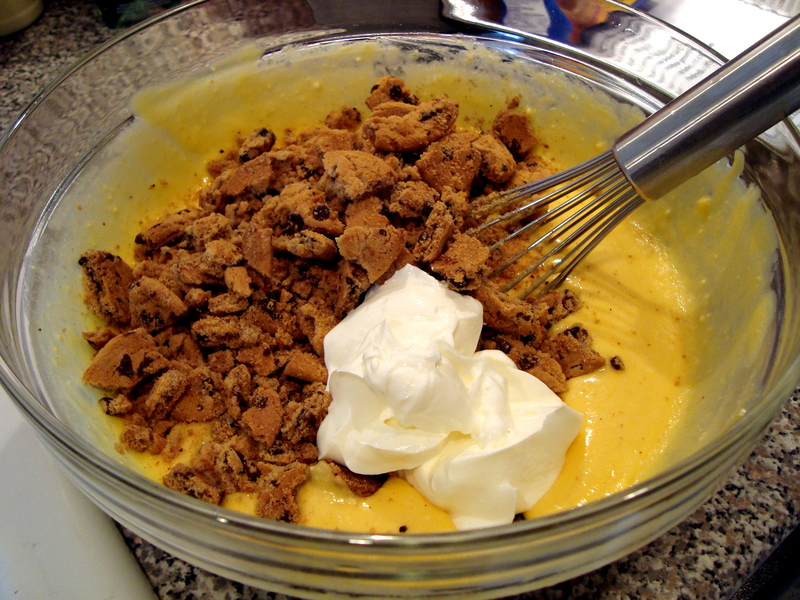 Whisk all that together until it’s combined and smooth and then add 1/2 cup of sour cream and the chopped up cookies. Stir together and admire. Pour into prepared 9×12 pan. This recipe is pretty large, so it’s great for bringing to a party. 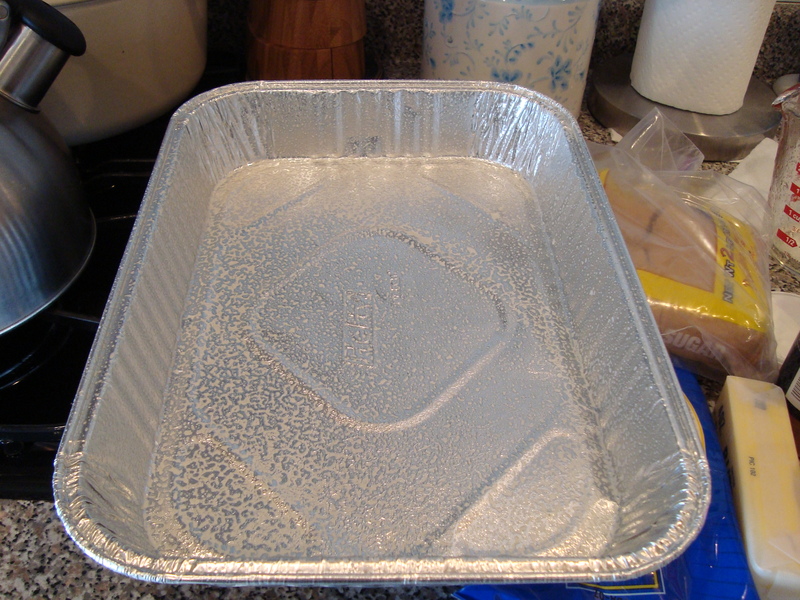 For that reason, I often make it in a disposable foil pan which I spray with non-stick cooking spray. Now you’re ready to make the topping (AKA the best part). Put the remaining 20 cookies in that same ziploc bag and smash them until they’re really crushed. Mix that with the 1/2 cup of brown sugar, 3/4 cup of coconut, 1.5 teaspoons of cinnamon, and the 1/2 cup of pecans if you’re using them. Mix it together with a fork and then pour in the melted butter. Fork it all together until everything is moist. A side note about brown sugar. 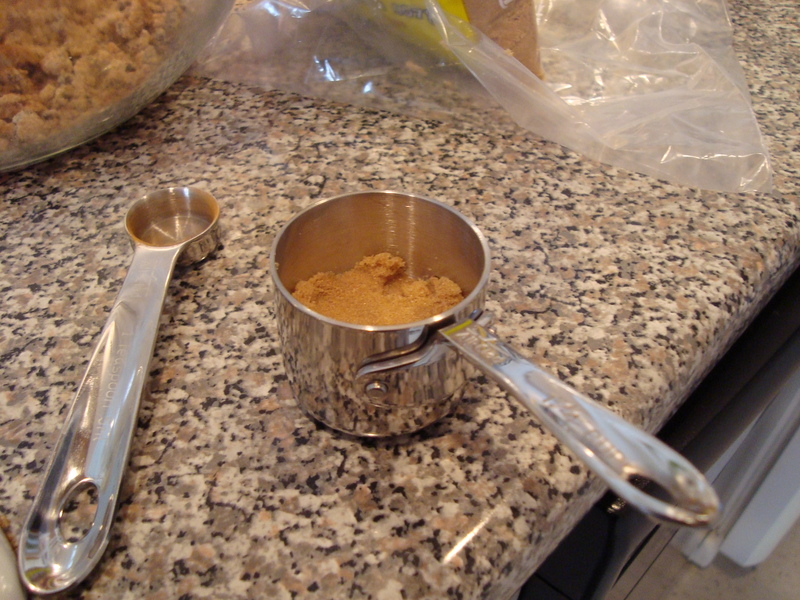 Most recipes will call for the sugar to be packed – that means that you have to push it down into the measuring cup to make room for as much as you can. For example, this measuring cup seemed like it was full until I pushed it all down and really it was only about half full. Missing out on brown sugar would be a SIN. Sprinkle the crumbs on top and bake at 350 degrees for about 40 minutes (until a toothpick comes out clean). 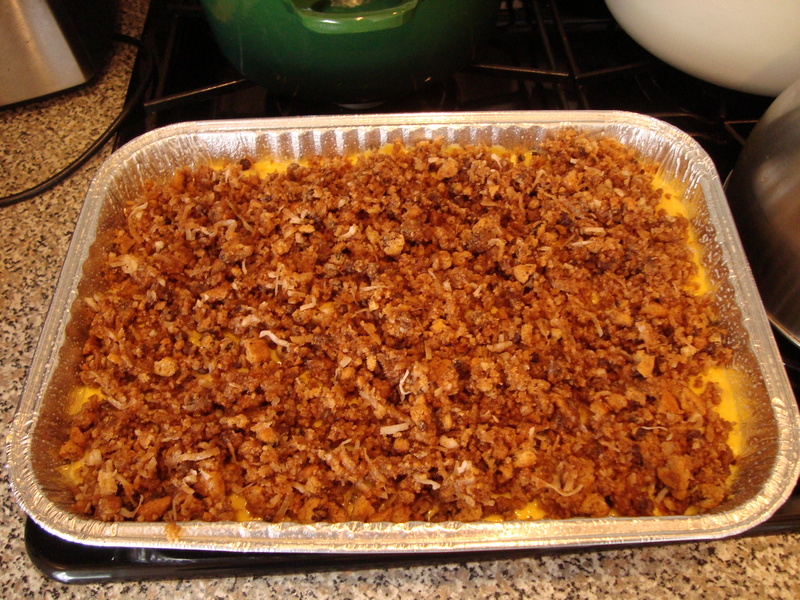 If you notice the topping is browning too quickly, you can cover it with foil while it’s cooking. Be careful when you’re transferring this to and from the oven. The foil pans are very flimsy! Let it cool completely before cutting it up. You can also drizzle a sugar glaze on the top if you want, but I don’t think it’s necessary.